The Security Council required Iraq to unconditionally accept the destruction, removal or rendering harmless, under international supervision, of all biological weapons and all stocks of agents and all related subsystems and components and all research, development, support and manufacturing facilities (para. 8 (a) of resolution 687 (1991)). To that end, Iraq was required to submit to the Secretary-General, within 15 days of the adoption of resolution 687 (1991), a declaration of the locations, amounts and types of all items mentioned in the biological area (para. 9 of resolution 687 (1991)). Iraq was further required to agree to urgent, on-site inspection by the Special Commission of its biological capabilities, based on Iraq's declarations and the designation of any additional locations by the Special Commission itself (para. 9 (i) of resolution 687 (1991)). Other acts required of Iraq included the yielding by Iraq of possession to the Special Commission for destruction, removal or rendering harmless of all biological items. Initially Iraq denied having ever had any offensive biological weapons program or activities. After 1995 UNSCOM said that it consistently found indications, both physically and on paper, that Iraq had acquired supplies, equipment, and material for its BW program. It also produced various types of agent as well as munitions for these agents. Evidence presented by UNSCOM in this area indicated that it was probable that portions of Iraq's biological weapons program remained intact. Aerosol generator -- Aerosol generators for biological weapons agents were developed by Iraq by modification of helicopter-borne commercial chemical insecticide disseminators. 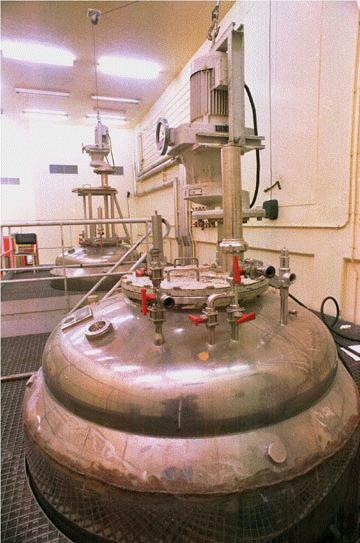 A document was submitted by Iraq that reports the successful testing of such devices in August 1988. Iraq did not account for the final disposition of the devices produced. The expert team assessed that the account of the biological weapons aerosol generators could not be verified. [S/1998/920] Iraq has stated that the activity related to this aerosol disseminating device was not mentioned in the 1997 declaration because the effort was primitive and inconsequential [UNSCOM 03 June 98].